I know what you are thinking…Liberals seem to abhor religion and will stop at nothing to denigrate the beliefs of others. Their absolute worship of the anti-religion in and of itself is a religion. I cannot say that they are atheists outright, but many of them maintain only loose ties to the religion in which their parents raised them. 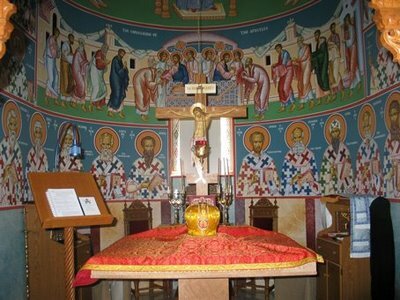 I differentiate those from people like me who are believers and live the faith, but don’t like to go to church. I wouldn’t call myself a religious person, but I believe in God and work to live my life according to my Catholic faith…except for the whole going to church every Sunday. I also believe (and am counting on) that God is merciful and forgiving and understanding and forgiving. 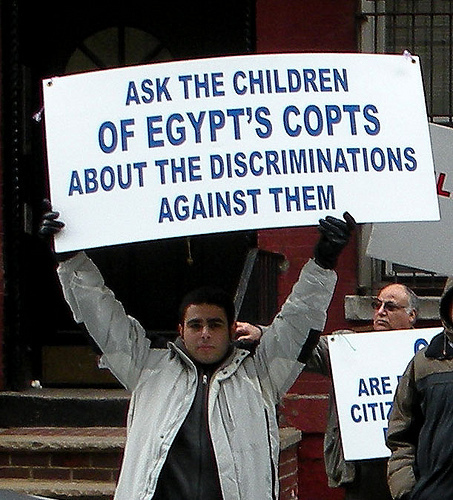 The Coptic Christians are perhaps some of the most faithful Christians and they have to be as their places of worship seem to in Middle East countries dominated by Islam. 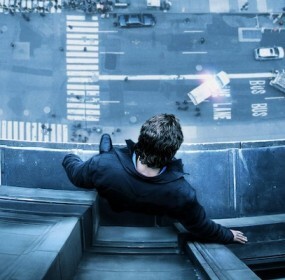 As a minority surrounded by many hostile people their faith must be strong. I have to admit that I know very little about this church other than occasional news stories where one of their churches happened to be burned down during Muslim protests. The “alleged shooter, Arid Uka, is described as a “a 21-year-old ethnic Albanian whose family moved to Germany from Kosovo,(and) had an “Islamist” motivation for firing at U.S. Air Force personnel.” I may have my history wrong, but President William Jefferson Clinton got us involved in Kosovo on the side of the Muslims. Once control was wrested from the government (I know that Milosovic was a “bad” guy) the Christian churches started burning down and atrocities committed against those not practicing the Muslim religion. At some point, perhaps, authorities will put the puzzle pieces together that, perhaps, a preponderance of evidence, perhaps, exists that since there are so many Muslim “lone wolves” out there that, perhaps, they should no longer be considered lone wolves even though there is not a paper trail linking the wolves. I have recently noticed a slick advertising campaign that has been running on television and radio. They advertisements usually feature “normal” people doing cool activities and end with the catch-phrase, “My name is blank & I’m a Mormon. One night my daughter asked why the church “advertised” on television. It always seemed to me that the Church of Later Day Saints (Mormons) had always run some family-oriented ads, but these new ones were quite different and more frequent. I have even started to see billboards along my commute from work. 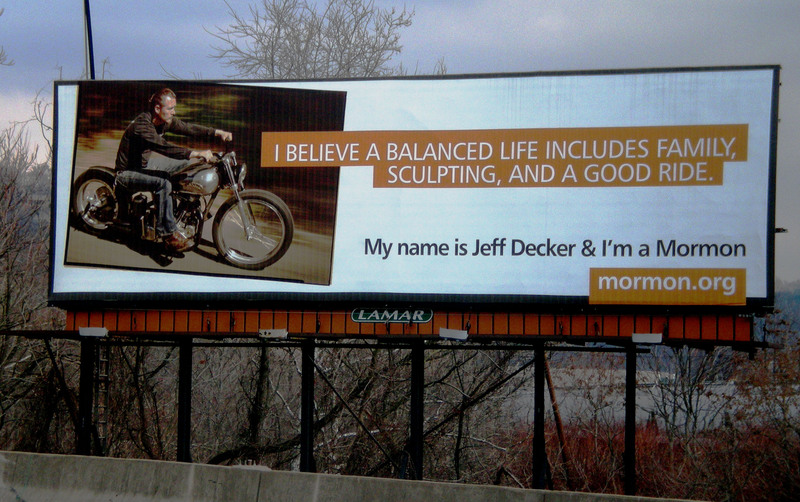 Jeff Decker, who is a Mormon and adorns the billboard along the highway near my work, rides his motorcycle sans helmet, sculpts and loves his family. I don’t see how Americans can look for legal means to stop the construction of the GZM. If we are a nation of laws and the mosque meets the standards and rules then it should not be prevented. 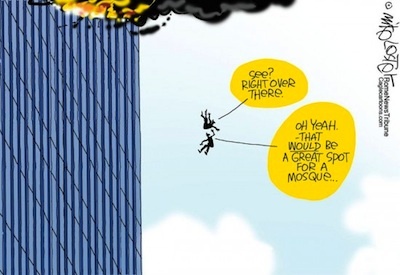 I don’t see how Muslims who claim to be tolerant would in their wildest dreams would consider putting a mosque anywhere near the site of America’s greatest terrorist attack and carried out by Muslims.